Usher celebrated his birthday with Trey Songz and Beyonce and Jay Z get cultural in Paris in the Instagram photos you shouldn't have missed this week. 1. 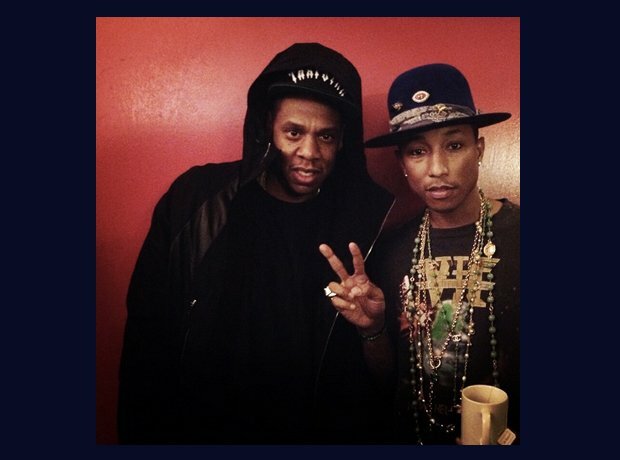 Jay Z watched his friend Pharrell perform on his 'G I R L' tour in Paris. 2. Whilst in Paris, Jay and Beyone visited The Louvre and saw the Mona Lisa. 3. Usher turned 36 this week and he celebrated with Trey Songz. 4. Eminem unveiled the cover of his new album 'Shady XV' on Instagram. 5. And Rick Ross premiered 'Hood Billionaire's' album cover. 6. Tinie Tempah was hanging with just about everyone in this super selfie. 7. Drake shouted out his mum, saying she's who he "does it for"... Cute. 8. Breezy was hanging with his best friend. 9. Maring Garrix was having a driving lesson... From Afrojack... In a Ferrari. 10. Ciara shared this adorable photo with baby Future.